When it comes to literature and writing, as well as advocacy for literature and writing in North Carolina, and beyond, Jaki Shelton Green (b. 1953) is ubiquitous. The operative word for her is dynamism. Her readings are electrifying. She is a presence at the podium, a meld of panache and humility that embraces every audience, regardless of its orientation. She is North Carolina poetry’s Billie Holiday. Jaki Shelton Green was born in Alamance County, North Carolina, and grew up in Orange County. She now resides in the town of Mebane. She is a graduate of the George School, a private Quaker boarding school in Bucks County, Pennsylvania. She attended Greater Hartford Community College in Connecticut where she majored in Early Childhood Education. She holds a Master’s Degree in Community Economic Development from the Development Training Institute, University of Maryland. For a number of years, Jaki was employed by Child Care Services Association as Director of Development. Prior to that position, she was employed by North State Legal Services for over fifteen years as a Community Economic Development Consultant and a Public Benefits Paralegal. Early on, she distinguished herself as a champion of the marginalized by winning all her Medicaid denial hearings on behalf of low-income clients. She currently maintains an independent consultancy specializing in nonprofit board training, arts and education, and humanities. Jaki has performed her poetry and taught workshops extensively throughout the United States, the Caribbean, Europe, and Central and South America. Her poetry has been choreographed by the Chuck Davis African Dance Ensemble, in conjunction with the Kennedy Center and the Nasher Museum at Duke University; Two Near the Edge Dance Company; ChoreoCollective; Danca Nova Dance Company, in conjunction with the Colorado Naropa Dance Institute; and Miami City Ballet. In 2003, Jaki received the North Carolina Award for Literature, the highest honor the state can bestow. She is the 2007 recipient of the Samuel Talmadge Ragan Award for her contributions over an extended period to The Fine Arts of North Carolina. In 2009, she was chosen to be the inaugural North Carolina Piedmont Laureate. She is also a member of the prestigious North Caroliniana Society. Her list of awards and honors is prodigious. She has been recognized by Orange County for community and human services volunteerism and board member affiliations with agencies and community based organizations. She maintains an independent consultancy specializing in the areas of nonprofit board training, program development for the arts and humanities, and poetry therapy. Her poems issue from a persona that unflinchingly peers into the heart of darkness and foreboding and forges from it, in an inimitable idiom of folk, plain-speak and soul (and a brilliant patois all her own), a relentless belief that love and ancestry always prevail over heartache, that story is more important than recrimination, that language is a sacrament. The documented and anecdotal feats of Jaki are legion. She is much beloved among North Carolina writers. She has unflinchingly stated that one of her key responsibilities in life is to mentor young African American student-writers, all young writers, really, and she has worn that mantle aggressively and with great determination. But, in truth, to dwell too exclusively on one race or another, to place Jaki into any kind of a hierarchy that privileges one group over another, is to miss the point of her work and what her life has been all about. While she is fiercely and justifiably proud of her ancestry, she is quintessentially human. A wonderful mother, daughter, wife, and friend, she upholds family as sacred. Her vita is spectacular, but what is ultimately the most impressive thing about her is her humanity. She takes her act, and her social conscience, everywhere: not just into colleges, universities, and libraries, but, more importantly and most intrepidly, into schools, shelters, churches, storefronts, and every neglected, rural hamlet in North Carolina. She waves poetry like a flag. She honors this state by advocating words over aggression; poetry, education, and community over poverty. In short, she is one of its splendid, once-in-a-lifetime citizens, a woman who serves it tirelessly and lovingly, courageously and elegantly, every day she draws breath. Watch Jaki Shelton Green read her poem “Paper Dolls” at the Regulator Bookshop, Durham, NC, November 10, 2010. Watch Jaki Shelton Green read at the 2014 NC Lit Fest, North Carolina State University, Raleigh, Sunday, April 6, 2014. 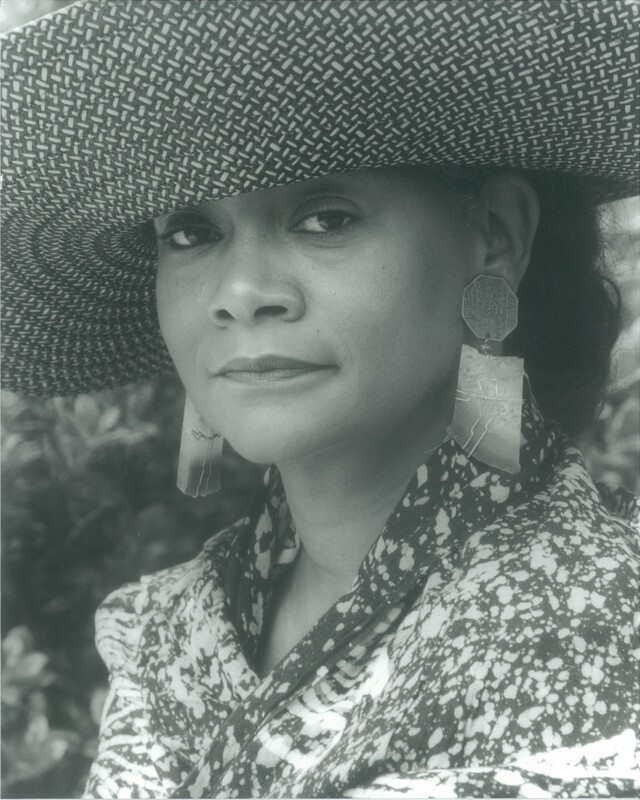 Watch Teresa Church read Jaki Shelton Green’s poem “who will be the messenger of this land” at the North Carolina Literary Hall of Fame 2014 Induction Ceremony, Sunday, October 12, 2014, at the Weymouth Center for the Arts & Humanities in Southern Pines, NC. Click here to listen to D.G. Martin interview Jaki Shelton Green on “Who’s Talking with D.G. Martin,” WCHL. Click here to read an interview with Jaki Shelton Green in the Burlington Times-News.